Fascinated by the Bansuri from early childhood, Shakthidhar started his initial training under Pt. K S Naik and later continued his learning with Pt. Prabhakar Dhakde, Pt. 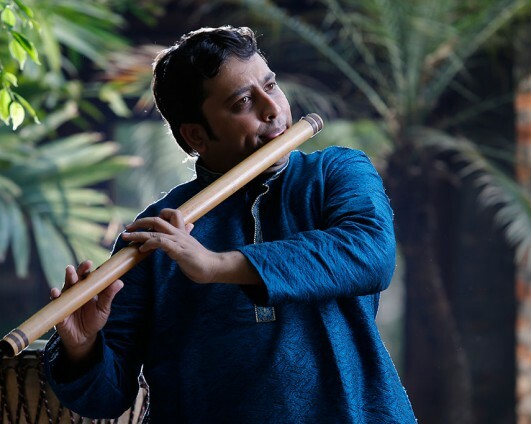 Avaneendra Sheolikar and is currently studying under the illustrious flautist Pt. Rajendra Prasanna. He has performed extensively at prestigious concerts throughout U.S.A., Europe and the Middle East.